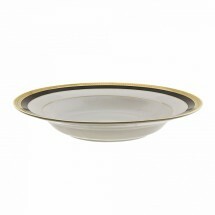 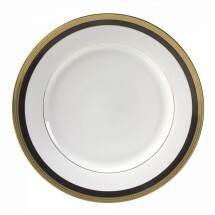 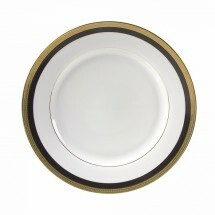 Your table settings will look luxurious with the Sahara Black dinnerware collection. 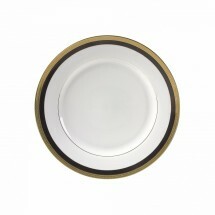 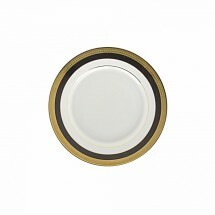 These dinnerware pieces feature decorative borders with a gold patterned band encircling a midnight black band that will richly enhance the dining experience. 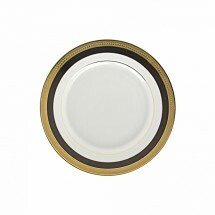 This collection is a wonderful choice for formal occasions, including banquets, wedding receptions and other festive occasions. 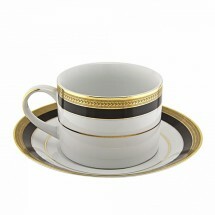 This collection is made of porcelain and is dishwasher safe.